The next battle between the CRTC and the incumbents will be over domestic roaming fees, as the wireless regulator is creating a special task force that will dive deeper into the telecom’s practices. In an internal memo obtained by the Globe and Mail, Chris Seidl, CRTC executive director of telecommunications, defined a deadline for the members of the special task force to come up with some solutions. “The mandate of the task force is to present options for Commission consideration at the upcoming December commission meeting,” wrote Chris Seidl, the CRTC’s executive director of telecommunications. Since the CRTC published the new wireless code of conduct, which will take effect in December this year, this regulator has focused heavily on roaming charges. 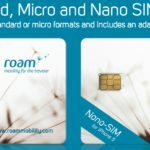 A couple of months back, the regulator asked carriers to submit information on domestic and international roaming rates. Wireless startups complained that the incumbents charge them high fees on domestic roaming charges. Fact is, these new players have limited coverage area, so they are forced to negotiate a deal with the incumbents to offer roaming services for subscribers who travel outside their coverage area. Also, small carriers asked the CRTC to regulate roaming fees because they overpay their rivals. I think the incumbents’ position is a no-brainer. It was perfectly exposed by their lobby group, CWTA CEO and president, Bernard Lord, who somehow failed to understand why Ottawa would want to regulate domestic roaming fees. Bernard Lord believes – and I think this is the same for the Big Three – that the government is wasting money and energy by focusing on regulating roaming fees. Of course, regulation is good or bad depending on which side you are: for the incumbents it isn’t good, because it cuts into their revenue stream, while for the wireless startups, regulation could come as a relief. The task force is being led by Andrew Falcone; its members include Bill Mason, Kim Wardle, Adam Mills, Catherine Lemieux, and Alastair Stewart. We eagerly await the options they suggest in December.